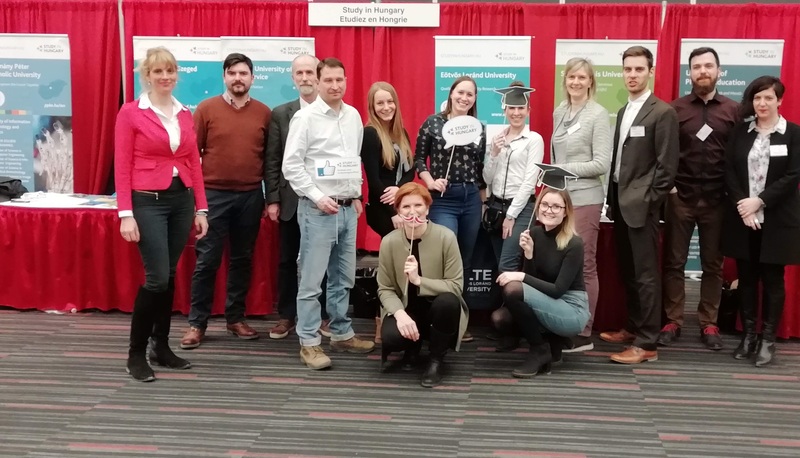 A delegation of 15 participants, 13 university representatives including a representative of Szent István University (Ms Kinga Püspök-Szabados), and two staff members from Tempus Public Foundation travelled to Canada to take part in the „Recruit in Canada 2019” higher education fair series from February 26 to March 5 2019. The first stop of the busy schedule was Vancouver, where the Hungarian delegation had the opportunity to visit the University of British Columbia (UBC). Not only the infrastructure of the campus and the number of students, but also the wide-range of summer university programs and the best practice presentation of its exchange program „Go Global” impressed the delegation. After the presentations there was a commemoration of the Hungarian related history of UBC. 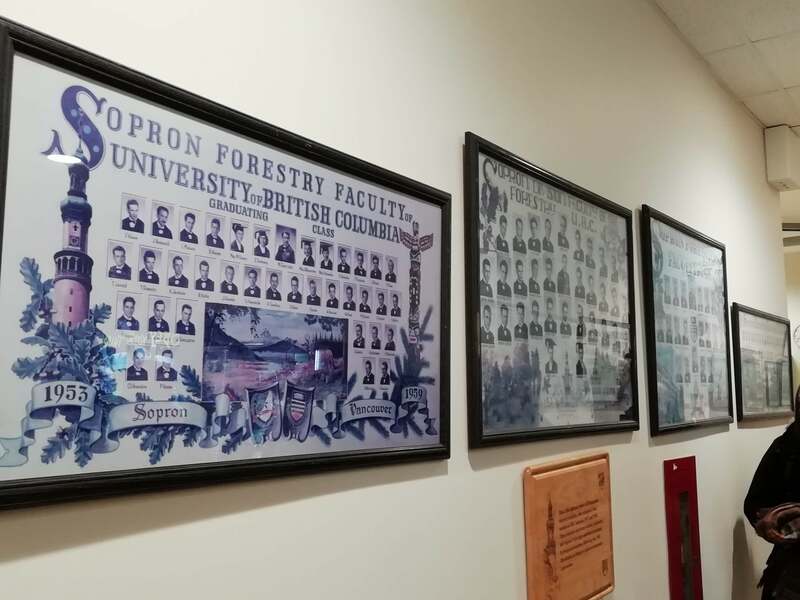 In 1957 nearly 140 forest engineer emigrated from Sopron to Vancouver, where they could finish their studies in Hungarian language at UBC . In the Forest Science Centre of UBC, black and white photographs on five graduation tableaus introduce the graduated students between 1957 and 1961. The delegation had the honours to meet three members of the Sopron alumni at the Szekler gate next to the Faculty. 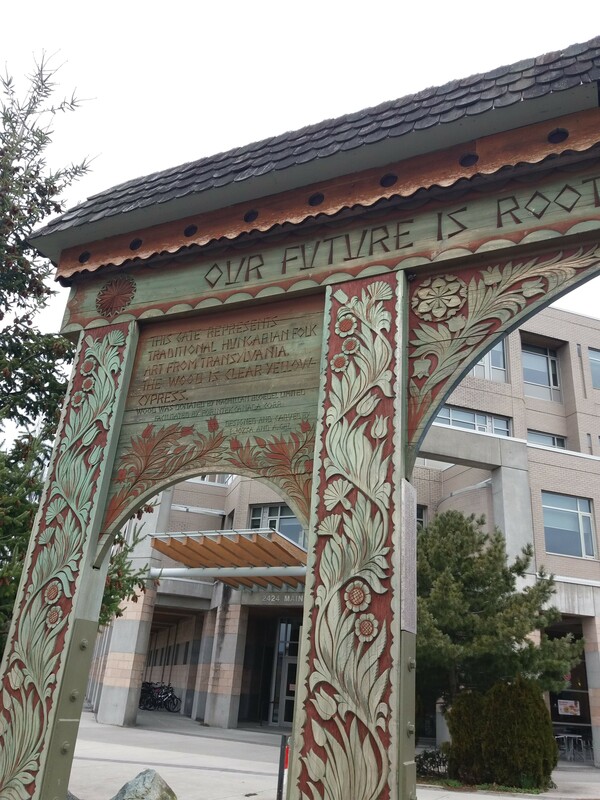 The inscription on the gate says "Our future is rooted in our traditions". 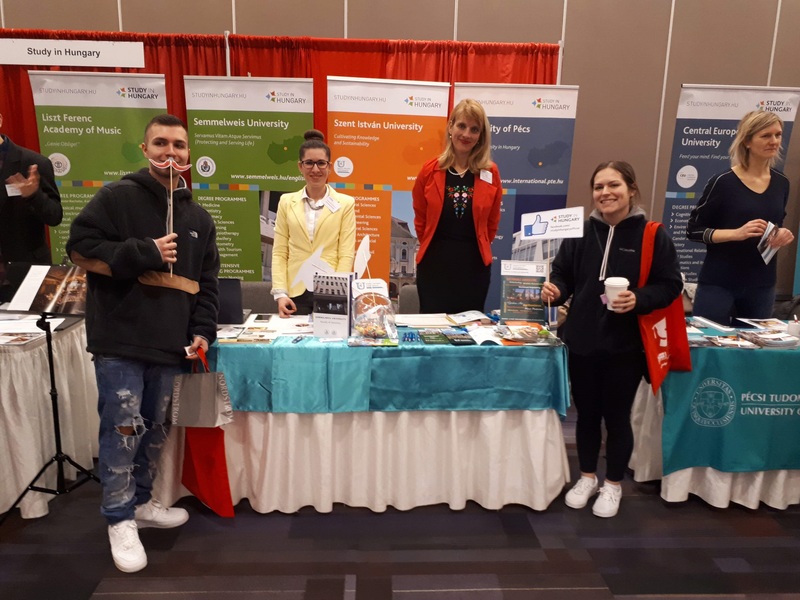 The program in Vancouver closed with alumni meeting and information evening in the Hungarian Cultural Society Club and recruitment fair in Vancouver Convention Center. Montreal was the next stop of the trip. The delegation met the members of the local Hungarian community in the Hungarian House. The fair took place in the Palais de Congres de Montréal, where not only Canadian visitors but Canadians with Hungarian roots visited the invitingly designed ˝Study in Hungary˝ booth. Many of the diaspora-Hungarians wish to send back their children to the motherland to study. The final destination was Toronto, where not only the number of visitors was the highest among the three fairs but also the event generated the greatest interest among prospective students. Following the fair, the delegation was invited to a reception to the Consulate General in Toronto, where the university representatives could meet alumni students and members of the Hungarian community. The six-day intensive tour finished with the visit of the University of Toronto (UoT). Ms. Michelle Beaton, International Vice President opened the meeting. Representatives of the Office of International Relations and the Hungarian delegation raised various topics including common areas of interest for collaboration. Dr. János Kenyeres, guest professor from Eötvös Lóránd University introduced briefly the success of Hungarian Studies course at UoT. The delegation says thank for the financial and organizational support of Tempus Public Foundation. Special thanks to Ms. Mariann Demeter-Pintér, Economic and Trade Counsellor (Consulate General in Toronto) and Ms. Katalin Oroszi, Cultural Attaché (Embassy of Hungary Ottawa) for their help and honourable presence at the events.